"Attack on Titan" ("Shingeki no Kyojin" in Japanese) is based on the New York Times best-selling manga series by Hajime Isayama and tells the story of a world in which the last of humanity fights to survive against man-eating giants called Titans. With now 21 volumes in print and an estimated 70 million copies in print today, "Attack on Titan" has inspired spin-off manga and novels, the anime series, a live action movie and numerous video games. Funimation simulcast the original 25-episode, Season 1 of "Attack on Titan" as well as released it on home video throughout North America. The wait will soon be over for countless anime fans of "Attack on Titan" across the U.S. and Canada. Funimation Entertainment announced today that "Attack on Titan" Season 2 will premiere on FunimationNow, Hulu and Crunchyroll on Saturday April 1, 2017 at 10:30 a.m. Eastern / 9:30 a.m. Central. Both the premiere and future English-subtitled simulcast episodes of the new season will be available across all three platforms as well as the Crunchyroll and Funimation channels on VRV. Details on Season 2 English SimulDub episodes will be shared within weeks. 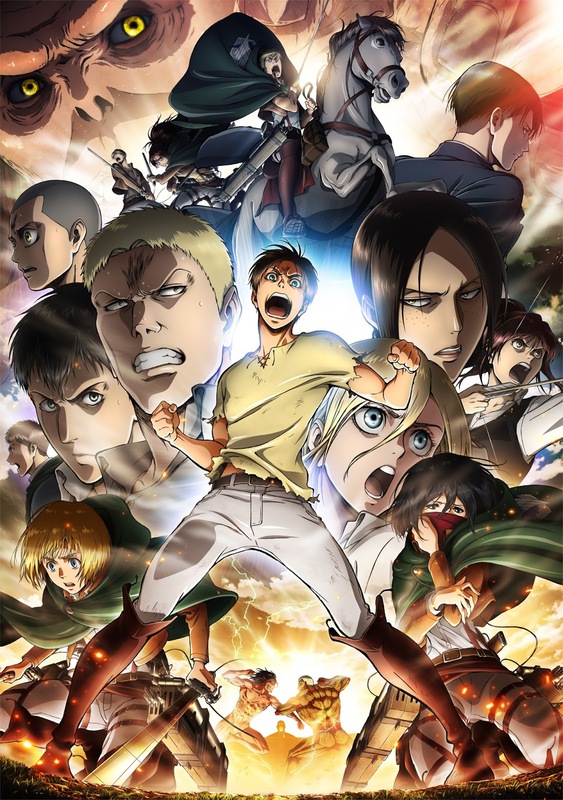 "We're thrilled to be premiering 'Attack on Titan' Season 2 together with Hulu and Crunchyroll to anime fans across the U.S. and Canada," said Gen Fukunaga, CEO and founder of Funimation. "Fan excitement has been building non-stop since our acquisition announcement and our clip reveal last December. 'Attack on Titan' Season 2 will not disappoint." "We're excited to bring the pop culture hit "Attack on Titan" back for a second season after its long hiatus," said Mike DuBoise, EVP and COO of Funimation. "And based on clip reveals, it will be an action-packed season that fans can look forward to watching. It's definitely been worth the wait." Eren Jaeger swore to wipe out every last remaining Titan, but in a battle for his life he wound up becoming the thing he hates most. With his new powers, he fights for humanity's freedom facing the monsters that threaten his home. After a bittersweet victory against the Female Titan, Eren finds no time to rest—a horde of Titans is approaching Wall Rose and the battle for humanity continues! Viewers can catch up on all past episodes of "Attack on Titan" on FunimationNow, Hulu and Crunchyroll as well as the Crunchyroll and Funimation channels on VRV.